Weddings are a stunning occasion to be invited to, and being able to witness an eternal bond of a loving couple warms us up. A soon-to-be married couple commonly invites their closest relatives and friends. One way of requesting such presence is through invitation cards. 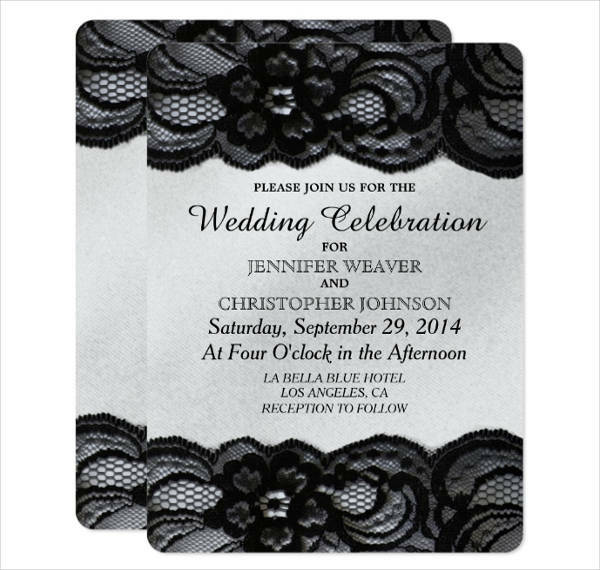 Invitation cards consist of the ceremony or program flow, RSVP, etc. and are designed based on the wedding’s motif. 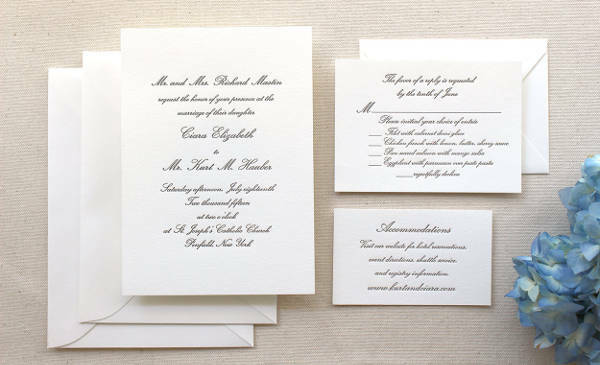 Wedding invitation cards suggest excitement and may come in different colors, shapes, and sizes. But why stick to the conventional free party invitation designs? 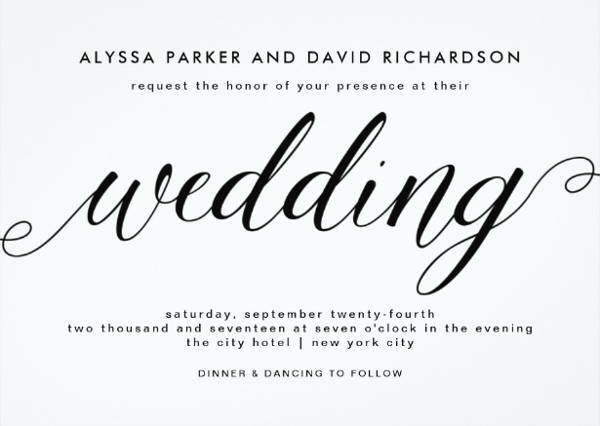 Here we have a list of unique black and white wedding invitations you may use for any wedding event. All are available in a downloadable format and are easily customizable. Planning a wedding involves a long period of the preparation. Wedding planners strongly encourage couples to send invitation enclosures to their guests. This is to save time and guide their guests regarding the wedding. Here are the things to include on your invitation enclosure. Direction. Place a set of direction inside your enclosure to guide your guests ahead of time about your wedding’s locale and reception area. RSVP or reply card. This is commonly done to know who is scheduled to come. Wedding guests are to check whether they’ll be present with or without a date to ensure proper attendance and available seating. Also, place an RSVP deadline on your reply card. Accommodation. Guests might be coming far from the wedding’s locale, so recommending a list of hotels and transportation details will be appreciated. Include on your accommodation card the names of the nearby hotels, contact information, and transportation departures. Ceremony. The inside of the enclosure must contain the ceremony program, wedding officiant, and sponsors. Wedding guests will be wondering what to wear, so provide a dress code or wedding motif for this specific card. If your dress code is specific, you might want a further explanation on a separate card. 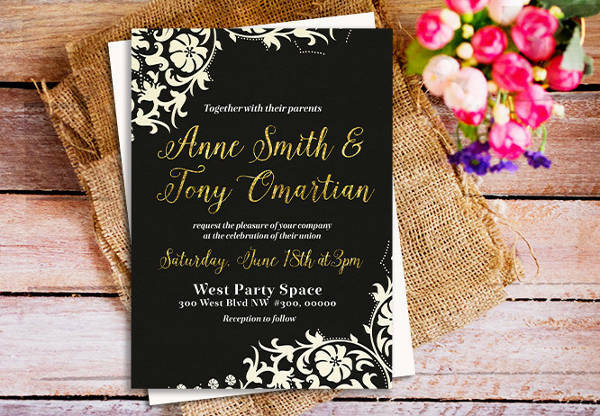 You may browse through our free wedding invitations for added inspiration and to view the different styles in more detail. 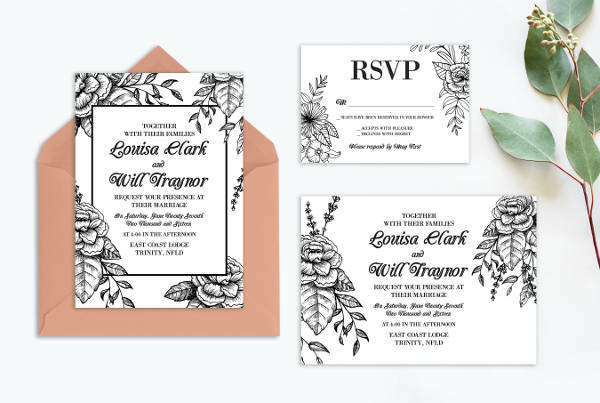 If you are looking for a hand-drawn floral illustration design for your wedding invitation card, the Black and White Floral Wedding Invitation is a great choice. It comes along with eight cards, including the reply card, table number, menu card, etc. and is print ready. Typographic use in invitation cards is a common trend these days. 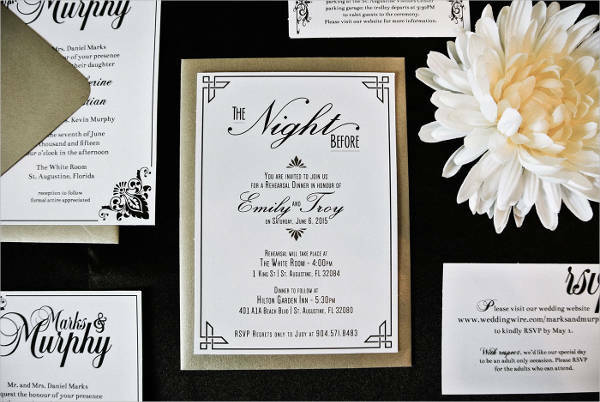 The Free Black and White Wedding Invitation are dominantly typographic but is well contrasted with an art deco-inspired style. 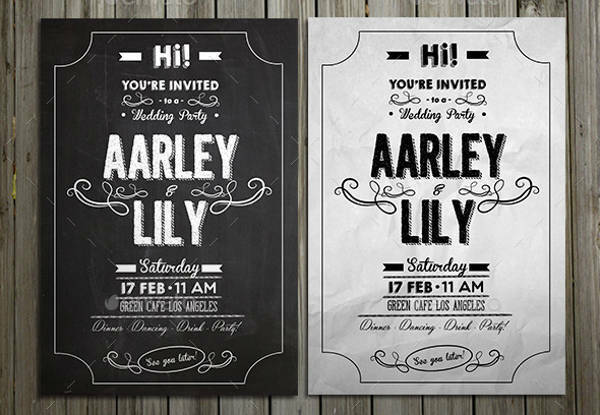 Also on the list is the Black and White Chalkboard Wedding Invitation. This is gearing towards a trendy and modern style, it can also double as a birthday party invitation card and is easily customizable. 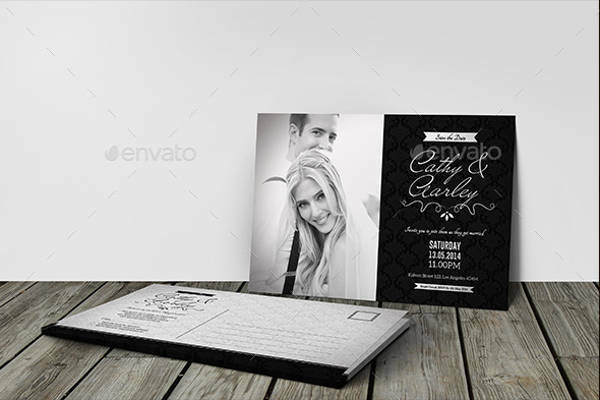 If the wedding is in a formal motif, the Formal Black and White Wedding Invitation is an exquisite choice. The simplicity of the font used balanced with a proper flow of layout gives a direct approach for the readers. 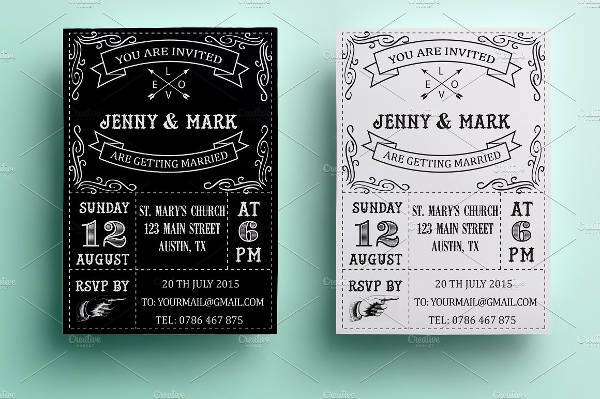 We also have a retro-inspired design in our list, the Retro Black and White Wedding Invitation. It is available in two color variations and is in 300dpi, which is print ready. Who says weddings couldn’t be unconventional? If you are planning a beach wedding, you may browse through our beach wedding invitations collection.